Take rava in a mixing bowl. Add in salt to taste and warm water. 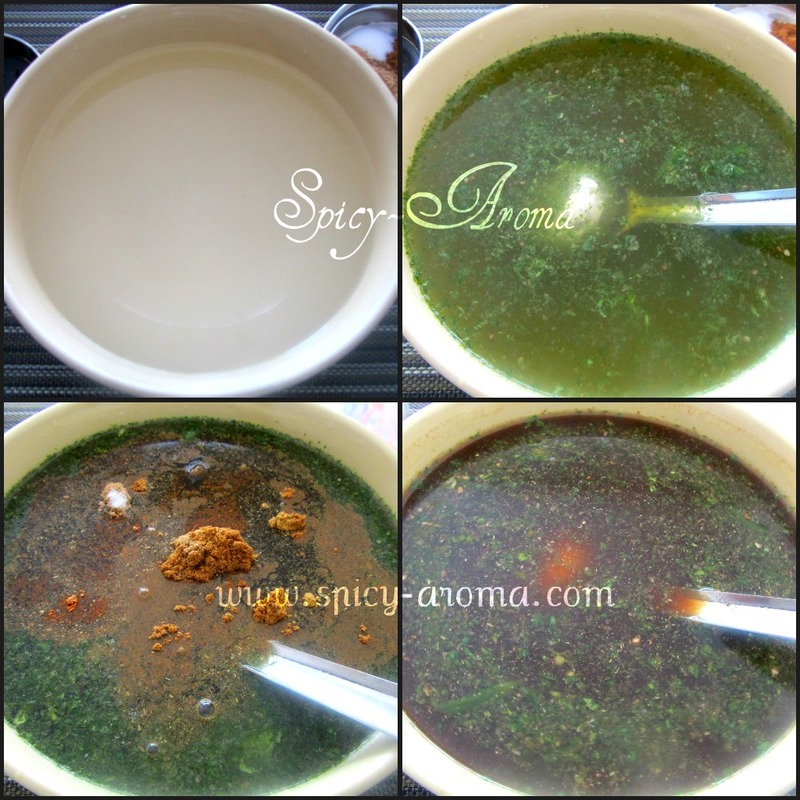 Mix well till sooji absorbs all water. 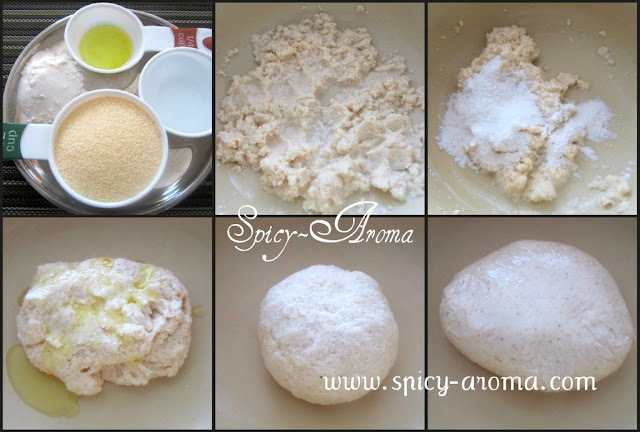 Add in all purpose flour and make a soft dough. Add oil and knead the dough really well for about 5 minutes. Wrap it with plastic foil and let it rest for 20 minutes. Divide the dough in 2 equal parts. Now, make equal sized tiny balls and roll them evenly. Make sure you keep them covered with kitchen towel. When you finish with one batch, add wax paper on it, and keep remaining puri on it. Drop puri in a hot oil. Press it lightly. when it puffs, flip to other side. Fry 8-10 puris at a time. Fry them nicely from both sides till they get slight brown color. If you want puri to be more crispy, then you can bake fried puris in a oven at 200 degrees F for about 15-20 minutes. Take 4 cups of water in a big bowl. Grind green chilies, ginger and cilantro in a blender to make a smooth paste. Add in to water. 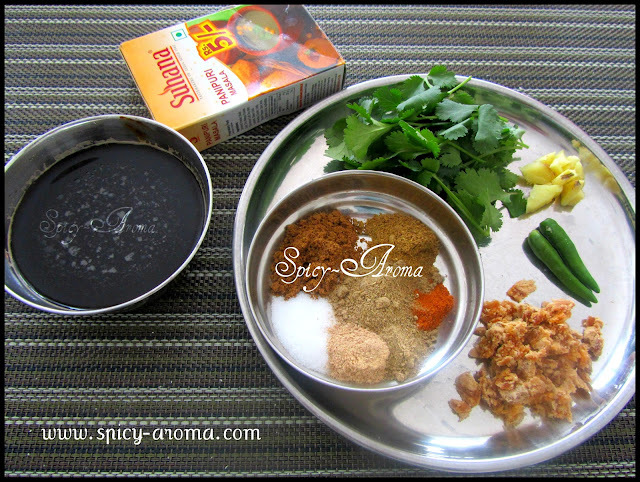 Now, add all spices mentioned above and mix them really well. You can also add some mint leaves to give minty flavor to pani. Take one puri, make hole at center. Fill some boiled potato mixture, some boiled chickpeas, and some chopped onion. Pour pani in it. Garnish with sev and serve in a plate. 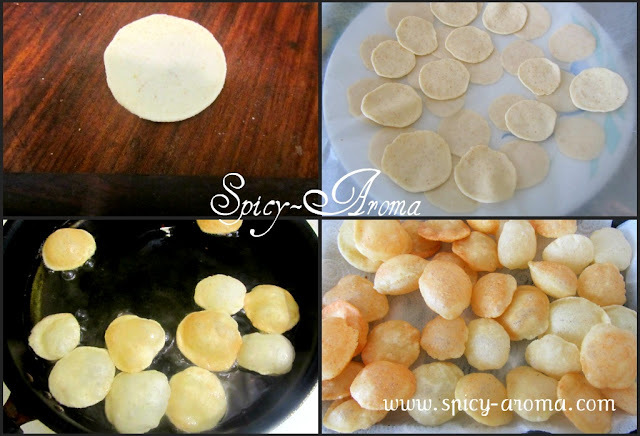 Did you make the puri's? God that requires a lot of patience. 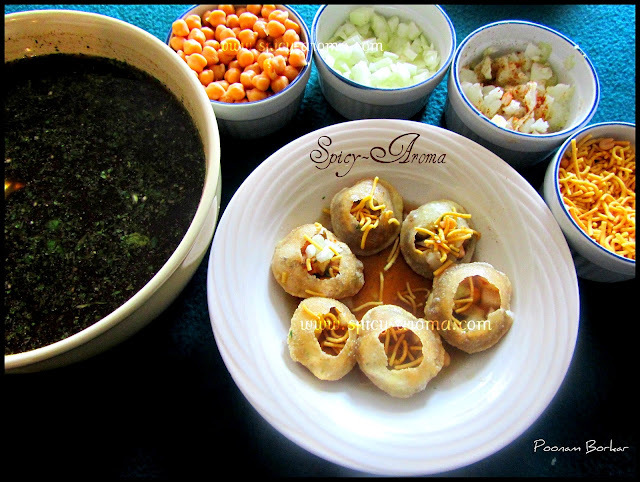 I love pani puri and so does everyone in my family,but I buy the puri's and mix the pani with the pani puri mix. 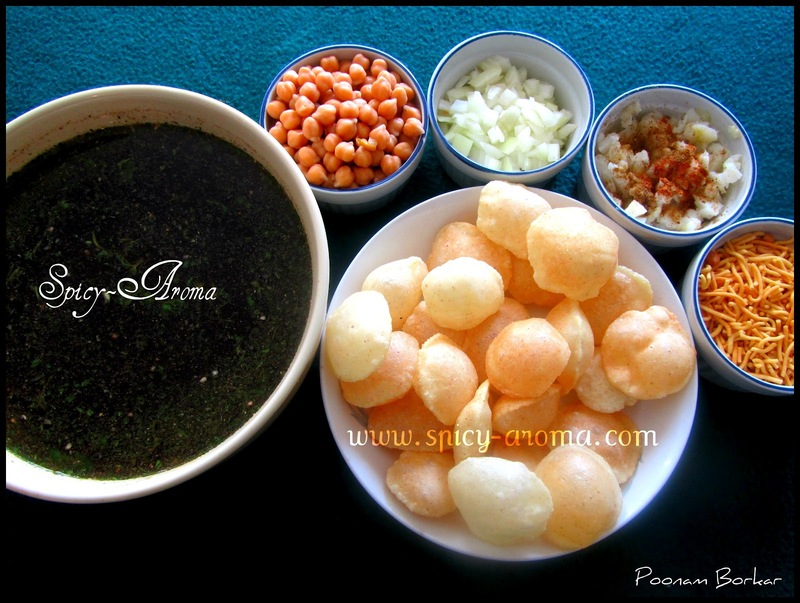 Awesome work, everthing done from scratch, amazing..
crisp pooris and yummy sweet and sour paani..loved your paani poori.. Thank you for such great photos it made me smile. The last time I indulged myself in making the puris was duing my pregnancy when I craved for paani puri and could not eat outside. You really have loads of patience dear. Quite an elaborate post and well narrated too. I hope you will send it to..
share ur residence address am inviting myself over thr.. gorgeous n so so madly going recipe..
Just love to have all really tempting me lot !! Awesome work dear !!!! Well done! Looks so tempting!